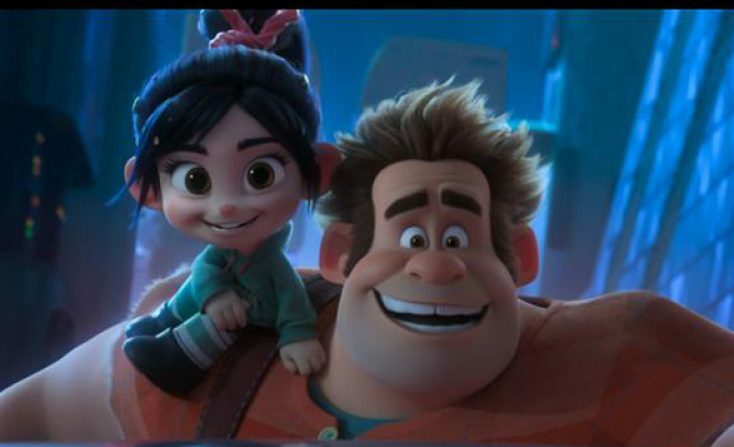 HOLLYWOOD—John C. Reilly and Sarah Silverman reprise their roles as Ralph and Vanellope, respectively, in the sequel to 2012’s hit Disney animated feature “Wreck-it Ralph.” In that earlier film, video game character Ralph got fed up with being the perennial bad guy and when he decided to do something about it and become a hero, he had to contend with the reality that there were other characters from other vintage arcade games. 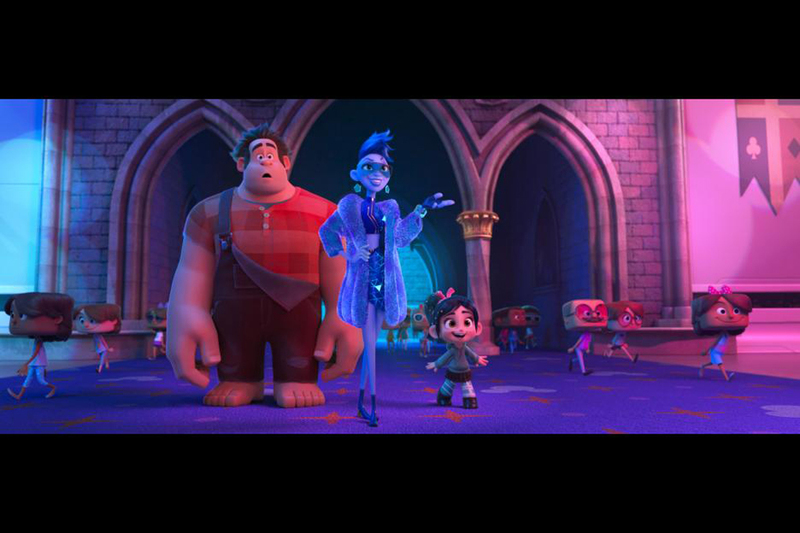 In “Ralph Breaks the Internet,” he faces the much more daunting world of the internet. Thankfully, he has his good pal and fellow misfit Vanellope along for the ride. The two performers who once again give voice to their beloved characters spoke about returning to the virtual game world filled with pop culture icons including Disney princesses. The film is directed by Rich Moore and Phil Johnston from a screenplay Johnston wrote with Pamela Ribon. It’s all-star voice cast includes Taraji P. Henson, Jane Lynch, Jack McBrayer, Gal Gadot, Alan Tudyk, Alfred Molina and Ed O’Neill, plus many of the actresses who have voiced Disney princesses over the years. Q: What was it like for Ralph to be thrust into the internet? Reilly: He was initially conceived as a fish-out-of-water kind of character; that was a lot of what we played with in the first film. How does Ralph behave or how does any character behave in a game that’s not his own? And then the internet is literally this infinite landscape. There’s a lot of completely fun metaphors we’re also playing with in the film and this idea that the arcade is like the childhood arena of their friendship, and the internet represents this larger world beyond as they grow and mature. Ralph really worked so hard to get a friend and the first one, and he was like, “Got it, rest of life solved.” Then Vanellope starts to grow and mature and she starts realizing that she wants to feel like she belongs somewhere (but) it’s not her candy game. A lot of kids and adults are finding a lot of stuff in the film that they can really relate to in terms of the way relationships evolve. There’s something here for a lot of people, certainly a lot of jokes that operate on different levels. Q: What was it like to go back into your characters? Did you work together in the recording booth? Silverman: We did it together. Yeah, we got to record it together. We got to improvise. They gave us a lot of freedom. We collaborated a lot on the script itself. It’s fantastic. It’s really fun. They always booked an extra hour of time than we needed because we would get real chatty. There is definitely an album—a very rated-R comedy album—somewhere in the audio footage of recording. Reilly: It was a real treat to get into the studio again with Sarah. In a way, our friendship has aged five years since the last film. It tracks, in a way, like Ralph and Vanellope’s. Sarah is not my only friend—one of my only friends—but it was a real treat to start at a place of intimacy with Sarah and Phil, Rich (Moore), Pam, and everybody. We all kind-of knew each other and we learned how to work together on the first film and we built these characters and the story together so that when it came time to start this one we could start from a very advanced place, and have the kind of conversations about the relationship and all that. You can really see that in the film. I was one of the first people to insist that we try to be in the room together as much as possible because I know that way improves the work. It works best in real time, so there was a ton of improvised stuff, which Phil and Rich were very kind to just let us explore things every day. That’s one of the great joys of doing audio work—there’s never the pressure of the sun going down. All of us recorded together. That’s what sets both of these movies apart. That feeling of heart and real emotion. It’s because we’re looking into each other’s eyes. I’ve done other animated work where I didn’t meet the other actor and I’m sure there’s some practical people that say, “Well, it doesn’t matter. It’s just a voice.” To me, it does matter and I think it does come across. It gives the film a soul that it might not have if we weren’t there together. Q: The best storytelling usually has some component of social commentary and that is something “Ralph Breaks the Internet” doesn’t shy away from. How you decide which social issues to feature and do they impact the story or vice versa? Reilly: I went in and met with the animators a couple of times to talk about the way Ralph moves and just check-in with them and establish a relationship with them, so that I could feel like I was working in concert with them. I remember this one very moving conversation, where I realized the internet is the central issue of our time. Our relationship to this technology, its power, and its effect on us, we don’t even quite understand yet. It’s as powerful as a nuclear bomb, but uses other means. It was really exciting in the context of an entertaining Disney film to be able to talk about some of these issues in a really real way. It’s effect on people. Why do we crave the anonymous acceptance of people we don’t know? All this stuff. The way we’re bombarded with commerce on the internet. So, we made this fun entertaining story, but you (also) come away from the film thinking about some of the most important issues of our time. Q: The movie plays around with the word “insecurity,” from the internet and the “security” of the games, to Ralph’s own personal insecurities. What are your insecurities? Reilly: I’ve worked really hard not to let my insecurities slow me down. That’s one of the important things that every person in their life has to do—to learn not to judge yourself and to be kind to yourself inside of your own thoughts. My mom used to say to me almost every time I left the house, “Don’t wear out your welcome,” because I spent most of my day wandering around the neighborhood going to different houses. Silverman: (For me), it moves around, like, grappling with the age I am. I’ve never been this age. It’s the oldest I’ve ever been and then I go, “Well it’s the youngest I’ll ever be.” Then, how I’m supposed to be is however I am. Q: What is your experience with the internet? Silverman: Years ago, I had a group of friends with whom I’d play poker with and one of them was like, “You got to check out this thing called Twitter. I’m going to take a picture of us and post it on Twitter and people will comment on it.” I would go, “Oh geez, you with the latest technology.” And I made fun of him. Then one day, I was listening to someone on the radio and they said, “Follow us on Twitter.” I wanted to hear more about that story but you had to log on and then that was it. For a comedian, it’s a great place to try out jokes or you just have a funny thought and you want to put it out there with everybody. Then it became the place where I take in my news and now I want to look back at the times where I was funny on it. The internet was new for us, but for kids it’s all they know. I wonder how in what ways that’s good or bad. We had to learn how to navigate it and how to protect ourselves and what we can handle and allot ourselves. It’s like anything. There can be way too much of it. It’s nice as a treat. There are bells that can’t be unrung that probably happened a couple of times a week or so—or day. There’s a lot of good on the internet. It’s brought the world a lot closer. And then, of course, there’s terrible things about it. There’s a lot of misinformation. This new world of chaos and lack of knowing what is true, I would attribute to the internet, but also learning truths about other people that I wouldn’t have never known. Culturally, waking up to my own white privilege had a lot to do with the internet, for what it’s worth. It’s a very complicated relationship—the internet—that we all have, and we all have to try to find a healthy balance. Q: What do you wish you could go back to pre-internet? Reilly: An objective truth. instead of all these versions of what’s going on in the world, depending on what site you visit. The human race could use a unifying way to communicate like that again. Silverman: We all came together (in 1987) when baby Jessica (McClure) was in a well and everybody tuned in. Everybody was concerned. She was everybody’s kid. Q: Sarah, what was it like to get your own Disney princess song as your character does in this movie? Silverman: It was a dream come true. I couldn’t believe it when (they) told me I was going to have a song. We had already been recording for a while and I couldn’t believe it. The music was written by (composer) Alan Menken, and I got to meet him and work with him and rehearse with him and he played “Somewhere that’s Green” for me to sing. He wrote “Little Shop of Horrors,” one of my favorite (musicals). We recorded with the whole orchestra like you see in old time movies. It was crazy. It was really a thrill of a lifetime. Q: There is a wonderful scene where Vanellope is indoctrinated by the other Disney princesses.What does it mean to be a Disney princess now? Will it affect your act? Silverman: I don’t know that it will affect my act, although everything affects my act. Just living (affects it). The idea of a Disney princess, what makes it good is that it had grown and changed. Disney has taken on progress and inclusivity and has grown and changed in positive ways. Really, in this movie, just faces it head-on, leans right into it. To get to be this kid who becomes a princess with an obtainable waistline and wearing comfortable clothes. I love that Vanellope kind of sheds light on these grownup princesses that are uncomfortable. On Twitter, someone was talking about it months ago, and I said, “Yeah, she’s Jewish.” I just made her Jewish and now it’s (part of the) canon, which I enjoy. Q: What do you hope audiences take away from this movie? Reilly: First of all, I hope kids are entertained. I feel like the story relates to them and they recognize some of their own friendships in these characters. In our movie, this idea that kids are reaching out for acceptance from people they don’t know and how that’s ultimately kind-of an empty feeling. I hope that kids come away with that “a-ha” moment. Why do I do that? Why do I want to do that? Because that’s the first step to really understanding a situation like that is asking yourself, personally. Maybe I can do something differently once you have that realization. Previous PostPhotos: ‘Crazy Rich Asians,’ ‘Some Like it Hot,’ ‘No Offence,’ More on Home Entertainment … Plus a Giveaway!